So you are a Cricket network’s client and you didn’t buy galaxy Amp Prime unlocked so now you are sick of being attached to cricket and need your opportunity to pick any network anyplace and thinking how do i unlock my samsung, you are at the correct place. We can gladly say that now you can get your samsung Amp Prime unlocked for forever with us effectively. We bring you the fastest unlocking, and our costs cannot be defeated. 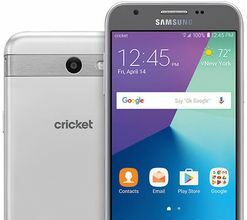 How To Unlock CRICKET Samsung GALAXY Amp Prime? The best method to get unlocked Galaxy Amp Prime is by unlock code. Each phone features a fifteen Digit distinctive code known as IMEI number, and by giving us IMEI # you’ll get Unlock code for samsung Amp Prime , and by entering that code you’ll get your samsung galaxy Amp Prime unlocked. How To Order Sim Unlock Code For Samsung Amp Prime? Ordering Galaxy Amp Prime Sim Unlock Code is more or less simple. You should simply type IMEI number of your Amp Prime and your E-mail address and press the buy now button. In the time expressed above we will send you sim unlock code for galaxy Amp Prime. How To Find IMEI Of USA CRICKET Samsung GALAXY Amp Prime? You can find IMEI # of your Galaxy Amp Prime by dialing *#06#. We have discussed details about how to find IMEI number of your phone here. How To Enter Samsung GALAXY Amp Prime Unlock Code? Turn off the Galaxy Amp Prime and insert a non accepted sim and turn it on, a “network unlock pin” menu will pop up, enter the unlock code and you’ll get Galaxy Amp Prime factory unlocked forever. Benefits Of Unlocking USA CRICKET Samsung GALAXY Amp Prime? You get so many benefits of factory unlocked Galaxy Amp Prime. In short, unlocked Amp Prime attract more buyers because it gives you freedom of choosing any network any where and allows you to select most flexible packages. Further we have discussed benefits of unlocking your phone here. What Are The Risks Involved In Unlocking USA CRICKET Samsung GALAXY Amp Prime? There are no risks involve in unlocking by Galaxy Amp Prime factory unlock code because you dont need to send your Amp Prime to us you can just unlock your Amp Prime by yourself easily without any technical knowledge.Nor you need to install any 3rd party app so no risk of loosing your data. We have discussed risks involved in unlocking process here. Why Unlock USA CRICKET Samsung GALAXY Amp Prime With LetsUnlockPhone.com? On LetsUnlockCode.com, you get very friendly and respectful customer service along with the best unlocking service. We are specialists when it comes to unlocking any phone with unlock code (such as at&t, Cricket, rogers, fido, bell, telus etc) whether you have phone from USA (like at&t, Cricket, etc) or or Canada (rogers, fido, bell, telus, fido, koodoo, videotron, etc). Kindly, order the unlocking service of network your Amp Prime is currently locked on. You can check specs of Galaxy Amp Prime here.